MUNCIE, Ind. 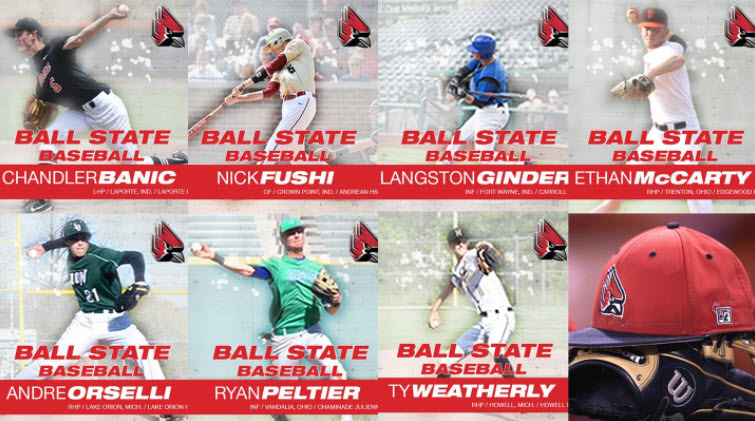 – Ball State baseball coach Rich Maloney announced that seven student-athletes have agreed to join the team and compete for the Cardinals in 2019 – Chandler Banic, Nick Fushi, Langston Ginder, Ethan McCarty, Andre Orselli, Ryan Peltier and Ty Weatherly. The group features four pitchers, two infielders and an outfielder. Banic is a left-handed pitcher from LaPorte, Indiana. He helped LaPorte High School finish 22-9 last spring and capture the sectional title. The lefty piled up 30 strikeouts in 38.1 innings of work to earn first team all-conference honors in his junior season. Banic finished with a 6-1 record and also recorded a save in 2017. 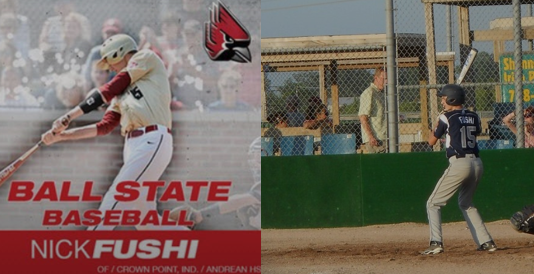 Fushi hails from Crown Point, Indiana, where he currently competes for Andrean High School. The 59ers went 28-9 last season on the way to earning conference and sectional championships. The outfielder posted a .340 batting average, nine doubles, four triples and a team-high five home runs as a junior. He also played two years on the basketball team. “Nick is a tall and wiry player who is very athletic and has great power potential,” Maloney said. Ginder is another Indiana product from Carroll High School in Fort Wayne. He was named to Prep Baseball Report’s all-state team in 2017. As a junior, the middle infielder tallied a .480 batting average with nine doubles, 34 runs scored and 24 RBIs. McCarty is a right-handed pitcher from Edgewood High School in Trenton, Ohio. He piled up 50 strikeouts in 50 innings this past spring, which led to first team all-state accolades from Prep Baseball Report. The righty holds the program record for ERA and has twice been named team Pitcher of the Year. The three-sport athlete also plays basketball and soccer for the Cougars. Orselli is one of two recruits from Michigan. The right-handed pitcher from Lake Orion, Michigan, was a second team all-state honoree following his junior season. Orselli helped Lake Orion High School win the league and district championships while setting the school single season record for hits (62). Peltier, a native of Vandalia, Ohio, helped his Chaminade Julienne High School team reach the state championship game in 2017. The middle infielder racked up 28 runs, 22 RBIs and 16 stolen bases a year ago to earn Prep Baseball Report second team all-state honors. He also lettered four years on the football team and was the league’s North Co-Player of the Year this fall. The final signee is Weatherly, a right-handed pitcher for Howell High School in Howell, Michigan. As a junior, Weatherly went 5-0 with a 1.72 ERA for Howell and then 5-0 with a 0.82 ERA in summer competition. He has thrown two no-hitters over the last year. Weatherly’s father played baseball at Central Michigan. Ball State concluded the 2017 season with a 30-28 overall record and 14-10 mark in the MAC. The Cardinals have won at least 30 games in five consecutive seasons.